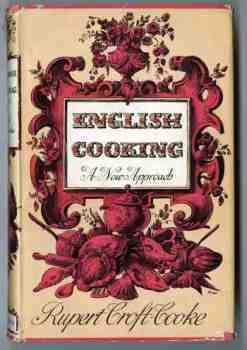 The Una Abrahamson collection of cookery books and social histories ranges from the 17th to 20th centuries and includes more than 2,700 recipe books as well as never-published manuscripts. The University of Guelph acquired the collection shortly before her death in February 1999. The archival portion of the collection includes a tape of the CBC "This Morning" interview and discussion about Una Abrahamson and her books (March 8, 1999);a videotape of the Global TV news report (March 1999) announcing the University's acquisition of the collection; a short biography of Abrahamson; as well as press clippings, articles, and photographs. The catalogue records for her collection can be browsed using Primo. Una Stella Abrahamson was born in London, England, in 1922. After marrying Roy Abrahamson, she came to Canada with him after World War II. She apprenticed under the painter Henri Masson (1907-1996) for a short time before becoming a noted home economist and domestic historian for Chatelaine magazine in the 1960s. Una also worked as a publicist for General Foods Kitchens, progressed to vice president of Public Relations Services Ltd., and then to the Dominion Stores as Director of Consumer Affairs in the seventies. Over a busy decade, Una Abrahamson wrote three important books: God Bless Our Home: Domestic Life in Nineteenth Century Canada(1966)Crafts Canada: The Useful Arts (1974); and The Canadian Guide to Home Entertaining (1975). She served as chair of the Ontario Council of Health's Task Force on Nutrition and Dietetic Services (1975). During this period, she also contributed many articles to Canadian magazines while lecturing as a popular speaker at many conferences and meetings. In October 1978, Una was struck by a car and suffered a coma for more than a year. Over the long course of her recovery she regained her ability to talk and write and enjoy the pleasures of assembling her collection on culinary arts at her home in North York for another two decades. By any standard, the Una Abrahamson collection of cookery books is impressive and one of the finest in North America. Some rare and special books date back to the early seventeenth century and represent traditional "receipt books" to works on health, nutrition, plants, table manners, alternative medicine, and healing. Her collection provides special insights into the development of culinary arts and the social history of cookery. Two culinary historians, Elizabeth Driver and Mary F. Williamson, have produced highlights of her collection of British, French, and early Canadian publications that make Una's collection so remarkable. 2,700 books (pubished and unpublished), 2 videotapes, 20 photographs, and approximately 5 cm of textual records.